A credit score is a debt management score, not a measure of your financial health. The amount of money in a savings/checking or retirement account? The amount of equity in a home? A FICO credit score only looks at debt. One could literally have $1 million in the bank and have a credit score of ZERO because they have not used debt for a long period of time. There are people who define themselves by their credit score. My credit score is 801, they boast. I have seen many people who have extremely high credit scores who are absolutely broke. They have a high credit score because they have managed their debt well, not because they have managed their money well! There are many people who have purchased a brand new car using debt when they could have paid cash for a nice used car. They bought the new car solely to boost their credit score. It might improve their credit score, but it hurts them where it really counts – the bank account! Congratulations Joe for your new book “What Everyone Should Know About Money Before They Enter THE REAL WORLD”. I understand it’s aimed for the high school students, college students, and twenty-somethings. 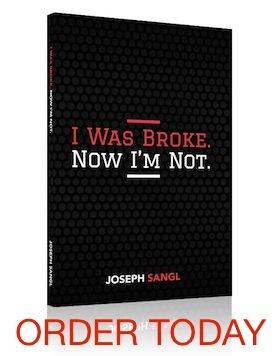 But I guess many adults who never had any solid financial education would benefit from your book too. Am impressed with the praises for your work.